Condition: NM, poster is double-sided, rolled as issued, and is basically in brand new condition. It only has the slightest of handling wear - the kind that is seen on new posters when they are rolled and unrolled. Poster is printed on a heavy glossy paper and the colors are still very vibrant and vivid. 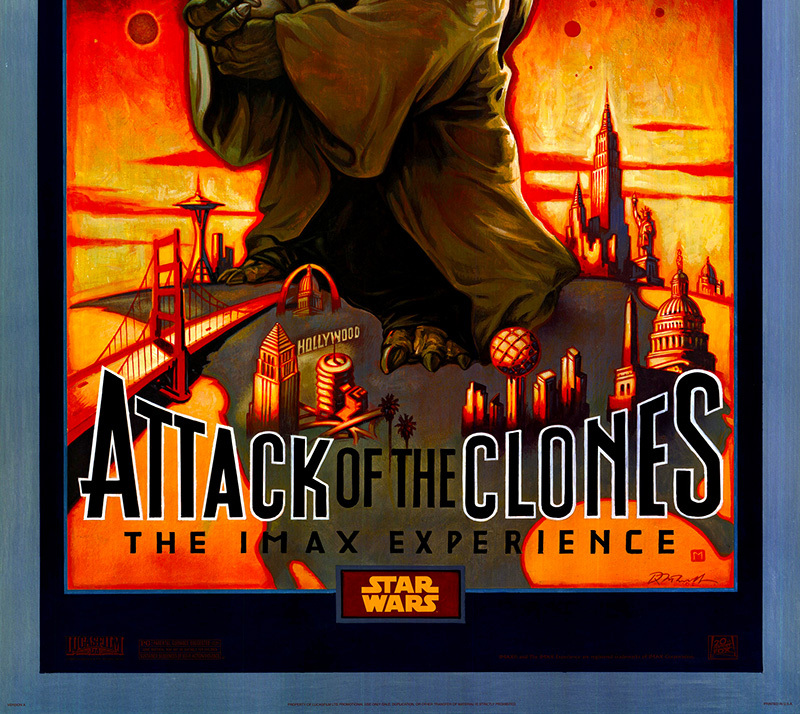 This is a very nice poster from the IMAX theatrical release of the Attack of the Clones. Please click on the extra large supersize thumbnail image to the right, to see all the small defects. 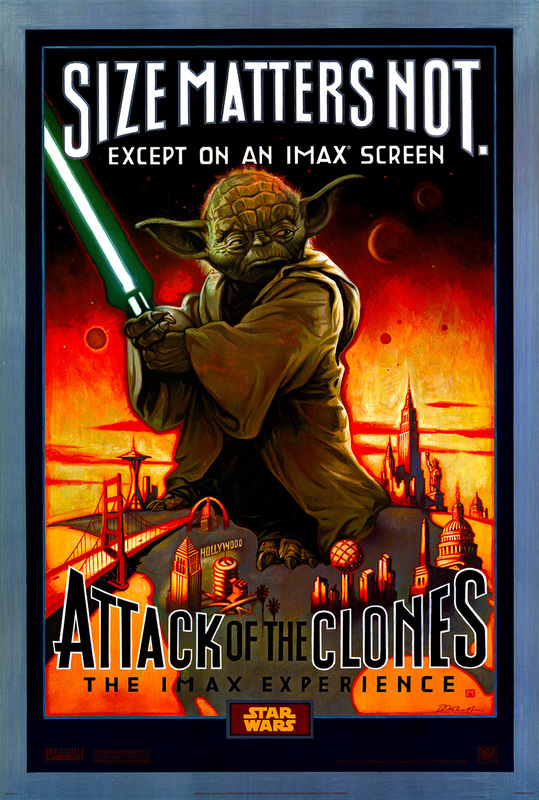 This full color one-sheet for the IMAX release of Attack of the Clones contains the image of Yoda wielding his green lightsaber while straddling certain landmarks of the United States and Canada. 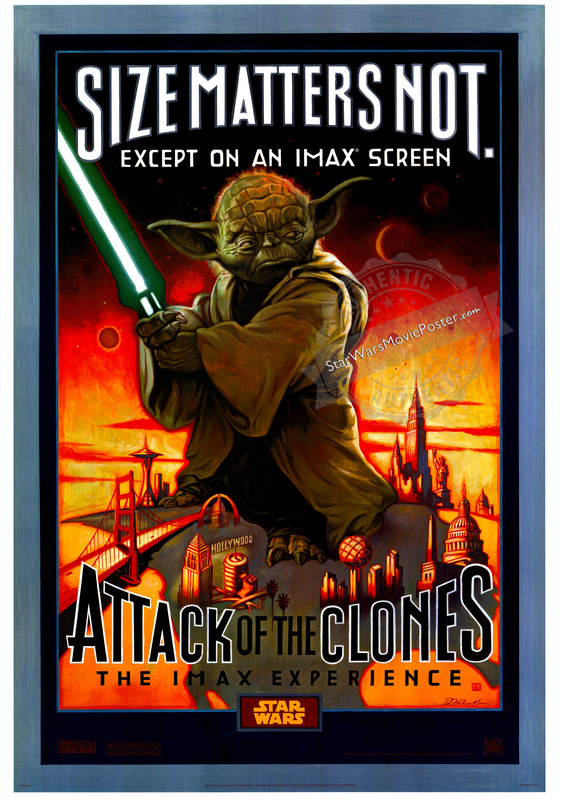 The tagline at the top says, "Size Matters Not. 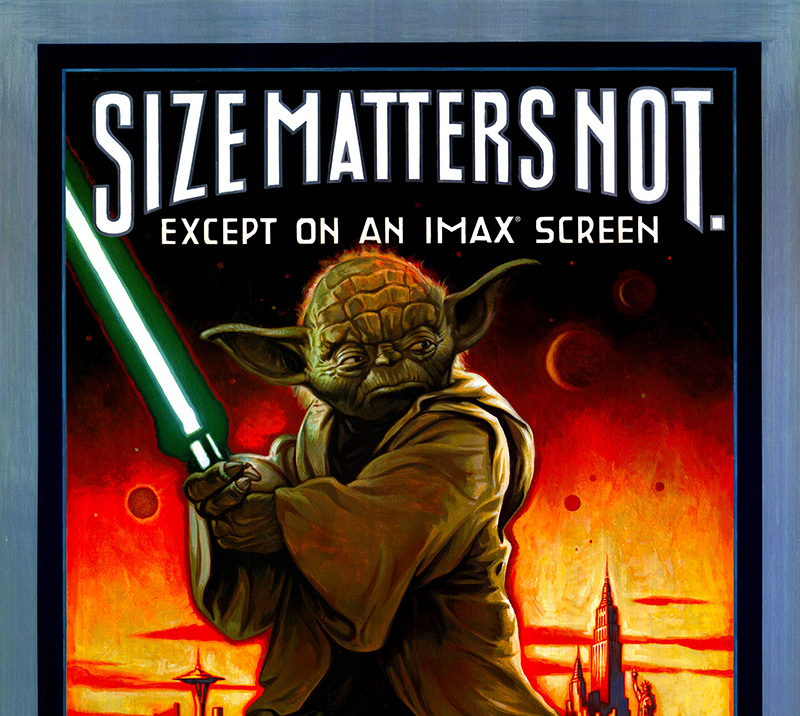 - Except On An IMAX Screen". 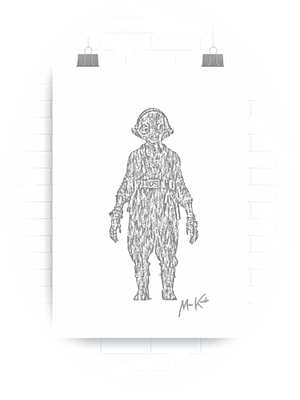 The illustration is bordered by a navy blue inner frame and a grayish outer border. The film title is at the bottom along with the Star Wars, Lucasfilm, 20th Century Fox and PG Ratings box logos. This is the regular cinema poster one-sheet for hanging in the light box fixtures around the theater.